Hangover Heaven Nightlife Prep is pretty good hangover prevention. The capsules are easy to use and have no taste. They are filled with minerals, vitamins, and antioxidants that are believed to not only be beneficial for overall health, but are key in fighting a hangover. Unfortunately, I couldn’t find a money back guarantee for this product and it’s relatively pricey per serving. The morning after taking the capsules I felt much better than I deserved, but I still had a slight hangover. Overall, I really enjoyed using the capsules because they are easy to remember, had no side effects, and lessened my hangover symptoms. 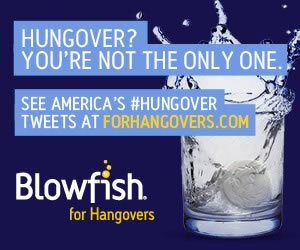 Hangover Heaven Nightlife Prep is extremely easy to use. The actual directions suggest taking 3 capsules prior to consuming alcohol, which is what I did. Another option would be to take 2 capsules prior to drinking and 1 before bed. If you prefer, you could even take all 3 at the end of the night. I like taking them before I start drinking because it’s the easiest method for me to remember. After I start drinking, I often forget about the capsules. Ultimately, it’s up to you to choose which method works best, but you definitely need to take them before the next morning if you want them to still work. The capsules are normal sized and easy to swallow. They don’t really have a taste, which is nice. I always prefer something like these capsules that aren’t a challenge to keep down due to a nasty after taste. The next day I woke up feeling better than I deserved, but I definitely still had a slight hangover. These capsules seemed to have helped my symptoms feel less intense. I head a very slight headache and some tiredness, but overall I was feeling much better than I expected. 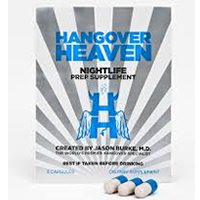 Hangover Heaven Nightlife Prep contains many essential vitamins, minerals, and anti-oxidants to help with hangover symptoms. One of the major essential ingredients is N-Acetyl-L-Cysteine, which is also known as the NAC Antioxidant. It’s commonly used for hangovers because it supposedly detoxifies the body and prevents alcoholic liver damage. Another major ingredient is Prickly Pear Fruit Extract. Researchers believe that it can reduce inflammation in the liver caused by a night of heavy drinking. It costs $5.00 for one package of three capsules. That works out to about $5.00 per serving. Unfortunately, the cost per serving is pretty pricey. Luckily, you can save a little money if you purchase a bottle of the capsules rather than the individual packages. Unfortunately, I couldn’t find a money back guarantee for this product.